How much time do you spend wearing headphones? These days, with smartphones being a part of everyday life, it’s not uncommon for someone to spend the majority of their day either wearing buds in their ears or headphones over them. Unfortunately, great as it might be to have all that entertainment at your fingertips, any hearing specialist will tell you that the potential for hearing damage is much higher as a result. That’s not to say you should avoid using them. In fact, it’s perfectly safe to use headphones as much as many of us now do—as long as you do it properly. 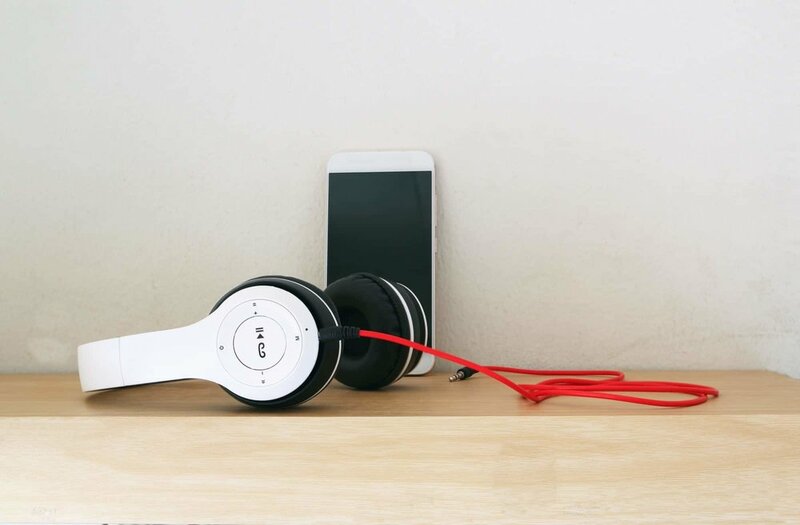 In this blog, a hearing specialist from SoundLife Hearing Technologies goes over some of the basics of safe, regular use of different headphones types. While earbuds are still the most common sight when it comes to smartphones, there is now a huge variety of different options when it comes to headphones. Earbuds typically come packaged with a device like a smartphone and will sit comfortably in your ear. The issue with earbuds, especially cheaper models, is that they offer little isolation from outside noise. This means users will often turn their volume up to excessive levels to drown out sound. In recent years, in-ear headphones that are inserted deeper into the ear-canal have become more popular. These are often used by professional musicians and are available as universal models or custom models, but many companies have entered the market to make them affordable for consumer use. While these provide better isolation, meaning lower volumes, they can be risky as they are inserted directly into your ear. If you’re using in-ear headphones, make sure you follow given instructions on how to insert them. You can also find guides for the best way to insert or use them online. Be sure to keep the tips you use clean to avoid infecting your inner-ear. The more traditional on-ear and over-ear headphones are as popular as ever, often marketed for improved portability. While over or on-ear headphones present less risk for immediate damage to the ear canal, they still carry the risk of damage through excessive volume. Cheaper or poor-quality over-ear headphones won’t block much noise, and users often turn the volume up high to block out surrounding noise. If you’re looking for headphones for portable use, it might be better to look for something in-ear, or that offers active noise canceling. You might have seen the term “active noise canceling” when shopping for headphones, but what does it mean? Active and passive noise canceling are two different things, but they make a big difference in how effective headphones can be. Passive noise canceling refers to how much noise is blocked out by the physical presence of something on or in your ears. Active noise canceling refers to a type of signal put out by headphones that subtly drowns out background sounds, without taking away from the quality of the audio. While this might sound insidious, any hearing specialist will tell you it doesn’t do any damage to your hearing. Whether you choose active or passive noise cancellation is purely down to preference. The most important factor, whatever kind of headphones you use, is volume. If you’re regularly using headphones, you need to make sure you’re not listening at excessive volume. In most cases, spending a little extra on good quality headphones means you can listen at safer volumes, preserving your hearing. If you’re listening for extended periods, you should also take regular breaks. Hearing issues don’t just come from volume, but also over-exposure to amplified sound over an extended period. Whatever headphones you use should always feel physically comfortable, and you should be able to listen without having to continually adjust the volume or their position. If you’re finding yourself having to turn up the volume even in quiet environments, it might be time to talk to a hearing specialist. With this advice from a hearing specialist, you can do a lot to prevent hearing loss or damage from excessive volume or improper use of headphones. If you’re already experiencing hearing impairments, we can help! At SoundLife Hearing Technologies, we’re dedicated to finding the best hearing aids for you. Get in touch with our team about your hearing evaluation, and start your journey to the life you want to live.